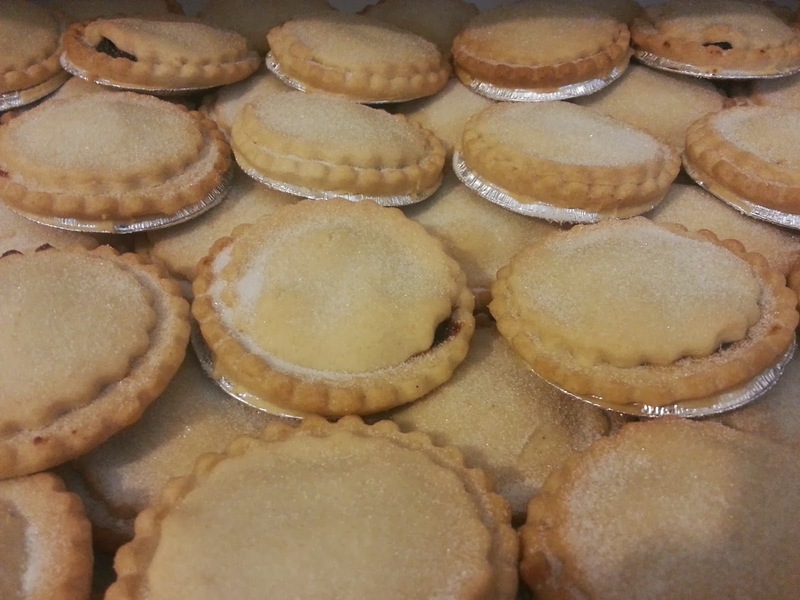 Kristy's Bakery will be open as usual until Christmas Eve when we will close at 2pm. We will then be closed for a few days over Christmas. We will reopen on Monday, December 31st in time for New Year's Eve orders to be collected. Please remember to book your Christmas cakes, puddings and logs as soon as you can, because we always run out! 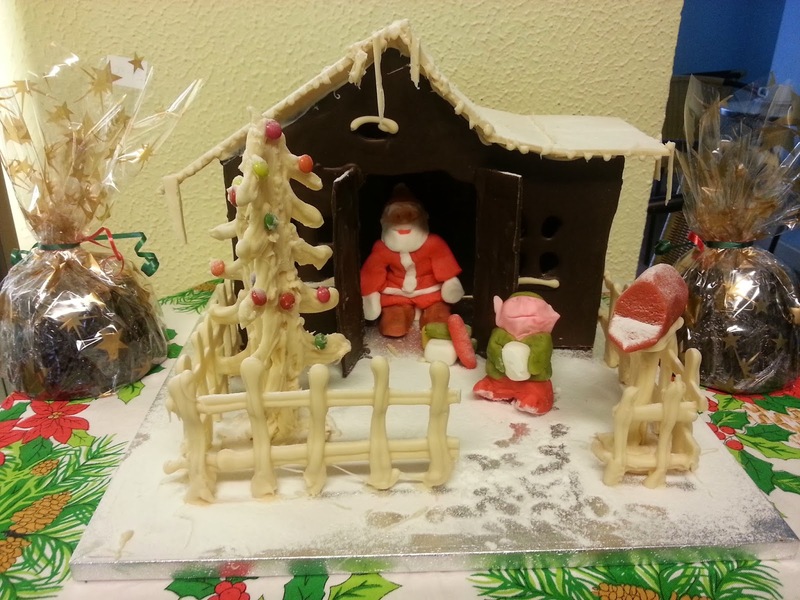 It's that time of year where we raise money for charity by raffling off a handmade chocolate creation made by Antonio! 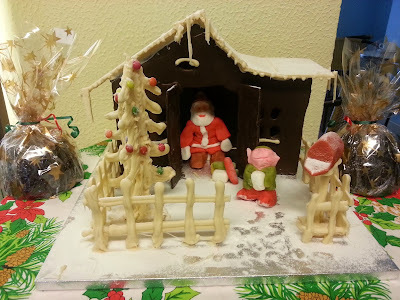 This year he has crafted a Santa's grotto with milk chocolate walls and white chocolate roof, with a marzipan Santa and elf sheltering from the snow (icing sugar!) inside. There's even a white chocolate Christmas tree with mini Smartie baubles for added festivity! The money raised this year will again go to Friends of Stepping Stones - a Swansea-based charity that raises money for Stepping Stones Children's Centre. The centre provides services for pre-school children who have an emerging or diagnosed disability, which is why we believe it to be worthy of our donation again this year. Raffle tickets are £1 a strip, so pop into the shop and pick one up! The draw will close on Monday, December 23rd and the winning ticket will be selected at random on the same day, with the winner notified before Christmas Day. How would you like 20% off your favourite Kristy's Bakery treats? Last week Antonio promised a voucher if he hit 100 likes on our Facebook page and, true to his word, here it is! To download your voucher click here, then print it off and bring it into the shop with you. Simple. For big orders please get in touch with us before you come in, so we know to bake enough for you. The voucher is only valid from this Monday until Friday, July 26 so see you next week! What will you spend yours on? At Kristy's, as well as our bread, cakes, savouries, sweets and chocolate wedding cakes (we could go on...) we've recently introduced a range of home-made Italian sauces to the shop. It began about six months ago, when Antonio decided to sell a few jars of his Pizzaiola sauce (tomato, garlic, olives, capers and oregano). These sold out quite quickly, so he made another batch and soon added his Puttanesca sauce (similar to Pizzaiola, but with anchovies) and Arrabiata sauce (tomatoes, onions, basil and hot chili) to the range. All the sauces are made downstairs in the bakehouse, using simple, fresh ingredients and old family recipes. And today Antonio has introduced a new sauce to the line-up: Messinese. This is a traditional Sicilian sauce with a tomato base, brought to life with chunks of aubergine and fresh basil, with a hint of garlic. Antonio says: "I learned this recipe when I worked as a chef in my uncle's restaurant in Busto Arsizio (just outside Milan) in 1975. We cook the aubergines in their skins until tender and don't use too much garlic... it's beautiful!" He advises the sauce is best served with short pasta or, for a more robust meal, pan-fried chicken and sauteed potatoes. All our sauces are made as you would have them in a restaurant. Just four or five ingredients. No flavourings or colourings - just simple, delicious food! Pop in and take one home today - they are all £2.40 a jar (and remember we'll give you 20p when you bring your empty jar back to us). If you have a small business blog, check out this new website which offers free online marketing advice for small businesses! At Kristy's Bakery we are bakers, not historians. However, having been a staple Swansea bakery for almost 80 years, we've decided it would be a good idea to briefly share the story of how the bakery came to be. It all started in 1933, when Alice Marjorie Taylor - with help from her sister Kathleen - opened a small bakery and cafe on St Helen's Road, Swansea. Their popular shop sold bread, cakes and pies - the same recipes we use today. Among the bakery's early customers, it is believed that a young Dylan Thomas used to visit the original cafe back in the mid-thirties. Alice continued to build her new venture for a few years until war broke out and the bakery was tragically bombed. 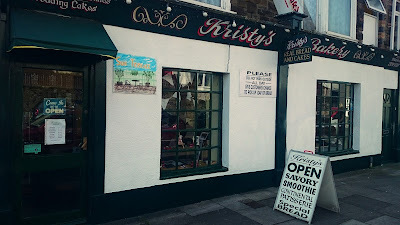 But this didn't spell the end of Kristy's, with the sisters opening a new bake-house in Alexandra Road. But unfortunately their bad luck continued and the Alexandra Road bakery soon became another casualty of bomb damage, forcing them to change premises once again. So, in the early 1940s, the sisters made their final move to Eversley Road in Sketty, where the bakery now sits. They took over one shop (formerly a hairdressers), before expanding into a neighbouring shoe factory. The Taylor sisters eventually parted ways - one moved to Dukesbury, while the other stayed in Swansea. 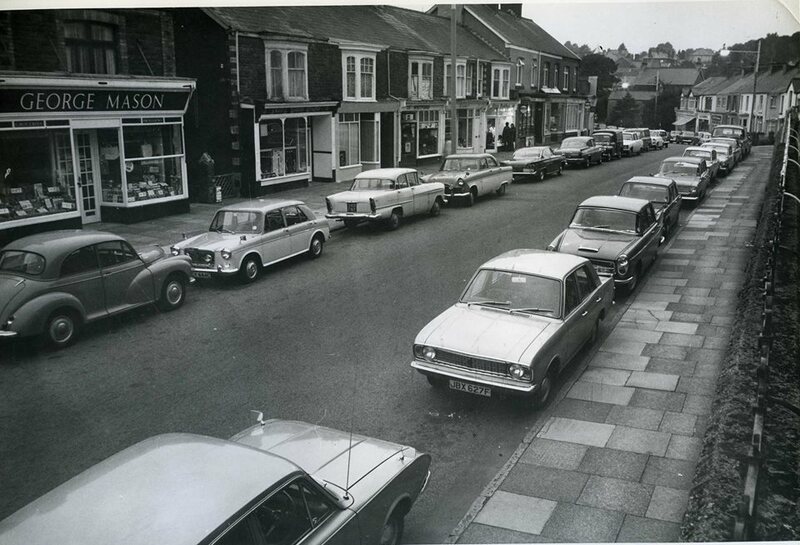 Eversley Road in the 1960s. The bakery is on the left hand side of the street. Jumping ahead, in 1955 a 15-year-old apprentice called Alan Jenkins joined the staff. 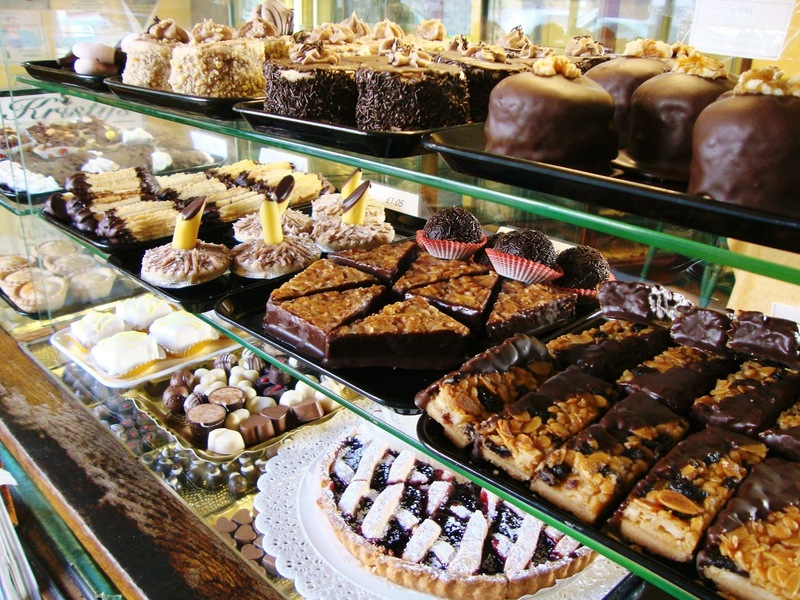 The keen youngster forged a career in baking and remained with Kristy's for twenty years, eventually taking over as owner in 1975. His craftsmanship has pleased hundreds of customers over the years, including former US president Jimmy Carter who enjoyed Kristy's handmade truffles when he visited Swansea in 1995. Alan is now 75 and still enjoys helping out at the bakery today. 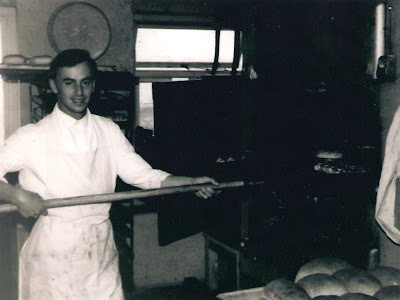 Alan in the bakehouse as a young man. 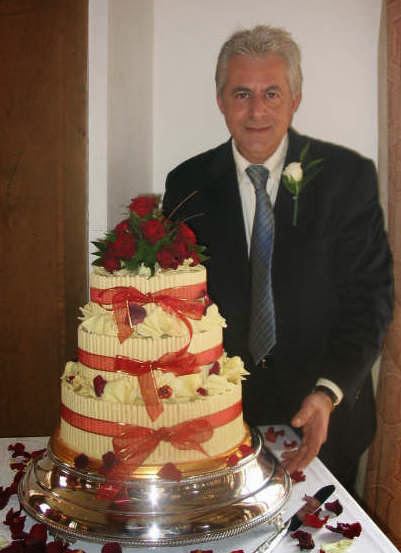 In 1997 Alan sold the bakery to the current owner and head baker, Antonio Carra. Despite having more than 20 years of culinary experience at the time - running restaurants in Italy, England, Wales and Canada - Antonio was less familiar with the world of baking. But he relished the new challenge and soon learned the trade, before adding his own twist by introducing traditional Italian breads, cakes and pasta sauces to the shop - including focaccia, pizzas, cannoli and panettone. He also began the trend of chocolate wedding cakes in Swansea, and to this day remains one of the most skilled in the business. 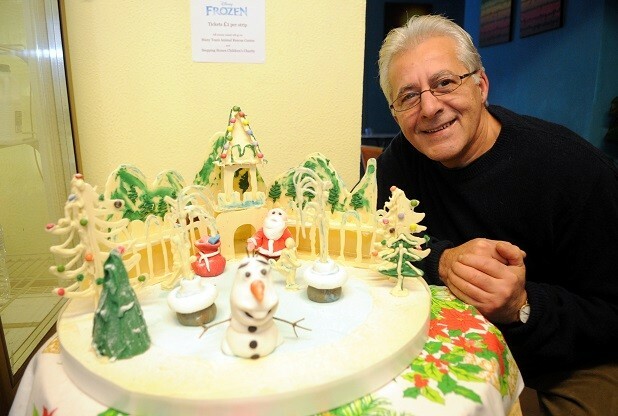 Over the years Antonio, working alongside Alan, has sent 'Swansea Pies' to Russia, cakes to America, Christmas puddings to Australia and wedding cakes to France. They even sent 400 Welshcakes over to the Shetland Islands! Antonio also once made a chocolate wedding cake for the daughter of film star Paul Newman, and received complements from the actor himself. So now you know some of the bakery's eventful history. Keep checking back, because we will try to fill in the gaps as we discover them. And if you know something we don't please, please, please get in touch! Hello! Whether you've been a customer for years or this is the first time you've heard of Kristy's Bakery, welcome to our new blog! 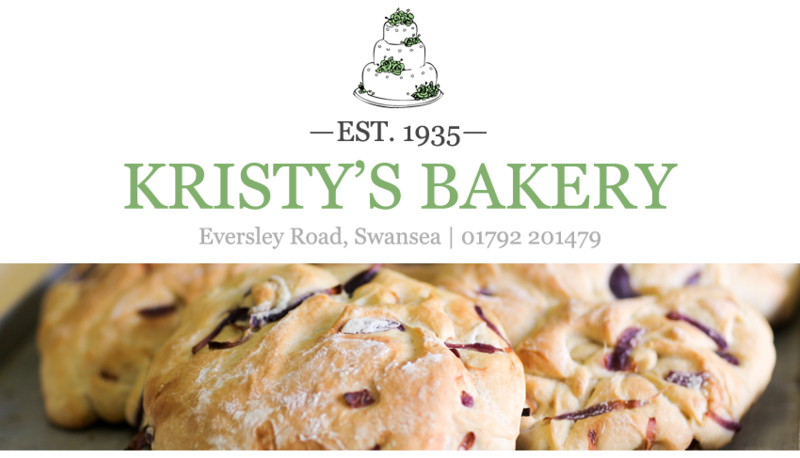 At Kristy's, based in Sketty, Swansea, it's all about tradition and innovation - be it fresh bread, mouthwatering treats or handmade chocolate wedding cakes. We've decided to embrace the digital age by creating a blog to keep you up-to-date with what is going on at the bakery! Over the next few months we will be bringing you news about the bakery, as well as photos, tips and recipes from head baker Antonio Carra to help you enjoy all aspects of baking. In the meantime, have a look around our blog and let us know what you want us to include in some upcoming posts, and make sure to visit us in person! - a recipe which took 10 years to perfect!